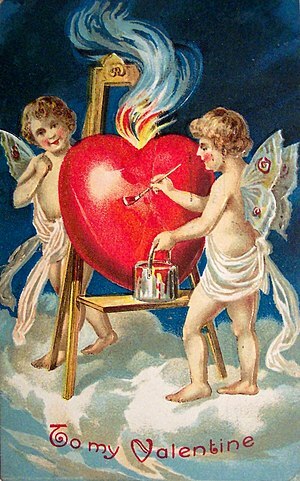 Scan of a Valentine greeting card dated 1909. As Valentine’s Day approaches – love is in the air, but we can’t always afford to have what we’d truly love especially when it comes to our computer systems. Every minute of the day computer manufacturers around the world are churning out some 400 plus million units of PC’s and servers, tempting us with the latest technology, purporting them to be the greatest, the fastest, the most user-friendly, the most energy-efficient and tomorrow – it’s replaced by something even greater and more omnipotent. The point being the computer industry is an ever evolving machine churning out tomorrow’s replacements. What a vicious trap they set and what of the waste? Also: stay tuned because coming up later this week, codemicro.com reviews several hard-to-find Dell Poweredge redundant powersupplies that are in much demand.